We had an exciting month on The Hog Ring! Not only did we bring you the latest news, but we also introduced a new article series about leather. Here’s a look back at March 2019. If custom motorcycle seats are your thing, check out this awesome profile of Emma Thieme from Maven Custom Leather and Seats. If your trim shop repairs marine upholstery, you’re in luck: Albright’s Supply is offering big savings on Jetty by Enduratex. Congrats to Pacific Coast Custom Interiors, which just bought the garage of their dreams. It’s almost spring — which means convertible top season is right around the corner. Guten tag! The Automotive Interiors Expo in Stuttgart, Germany, is only two months away. The 2019 SEMA Show is still eight months away, but it’s already shaping up to be an event to remember — thanks to the “NC Auto Interior of the Year” award. Are you an out-of-work auto trimmer? Fear not. 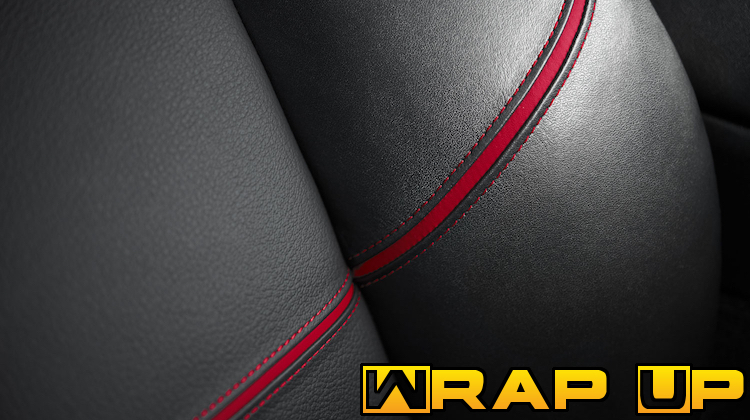 We scoured the internet for the latest auto upholstery job openings and posted them on our jobs page. With so much leather on the market, it can be difficult to separate the bad from the good and the very best. Fortunately, Hydes Leather makes it easier. Remember When Vinyl Tops Were Cool? Once upon a time, when vinyl tops were relatively new to the auto industry, GM took out a double-page ad for its new Chevrolet Caprice Custom Coupe. Auto trimmers who watch WWE wrestling definitely remember what “Stone Cold” Steve Austin did to Vince McMahon’s prized convertible. For the first time ever, an auto manufacturing plant is using robotics to install a headliner board in cars. Eradicate pink stains on marine upholstery with Jetty by Enduratex, now on sale at Albright’s Supply. Repairing vehicle seats for fleet service companies has generated a lot of income for my auto upholstery shop, and it can do the same for yours. LeBaron Bonney Company, one of the auto industry’s oldest manufacturers of interior soft trim for antique cars, has filed for bankruptcy. Police have arrested a suspect in a deadly shooting at Santa Barbara Upholstery Supplies in Las Vegas, Nevada. Police have charged a New York family with using their upholstery shop to defraud customers — and it’s not the first time. Aaron Laithwaite, founder and CEO of Hydes Leather, has graciously volunteered to answer trimmers’ questions about leather. How Do I Store Leather in a Small Shop? I’m planning some workshop improvements and one thing I want to look at is how the hides are stored. Want to learn how to create custom aluminum trim moldings? Watch this video by master trimmer Juan Estrada of Interiors by RMD Garage. That’s not all! Visit our Facebook, Twitter and Instagram pages to see what other trimmers are up to. You can also join in the latest industry discussions by registering for our Auto Upholstery Forum.